The modern geographical region of Condroz is shown on this map of Belgium. It is thought to correspond roughly to the area where the Condrusi lived. 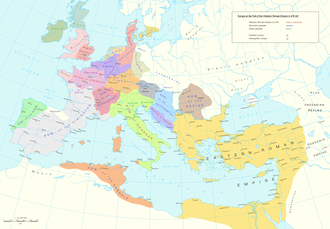 The Belgae were distinguished from the Celts and apparently claimed to be of Germanic descent. 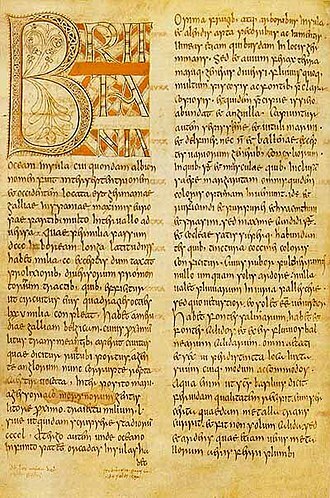 From Belgic names we know that the Belgae were heavily influenced by the Gaulish language, but from other information we know that they were also heavily influenced by Germanic peoples on the east of the Rhine river. In particular, the Condrusi were in the tribal group known as the Germani cisrhenani, who are amongst the Belgae most strongly associated with Germanic ancestry. We learn all we know about the Condrusi from Julius Caesar in Commentarii de Bello Gallico. 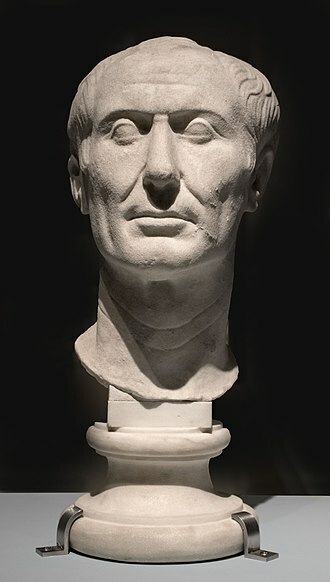 In 2.4, Caesar states that the Belgian Germani had crossed the Rhine long ago to take control of the fertile land on the other side. 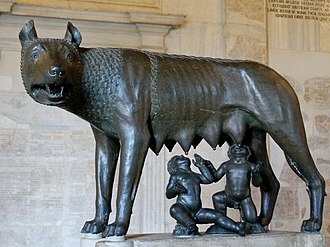 They kept a distinct identity, and a reputation for military strength, because they were the only Gauls who successfully resisted the Cimbri and Teutones during their migrations in the second century BCE. 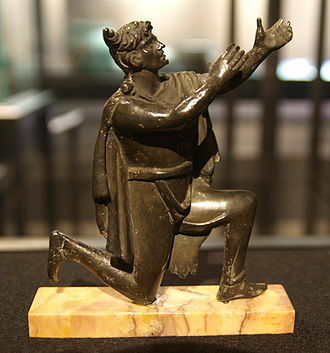 Whether the Germani cisrhenani in Belgium actually spoke a Germanic language, is uncertain, but in any case it was claimed by Tacitus that these Germani were the original Germani, and that the term Germani as it came to be widely used was not the original meaning. He also said that the descendants of the original Germani in his time were the Tungri. In chapter 2.4 of Caesar's commentaries the Condrusi are specifically listed amongst the Germani, along with the Eburones, the Caeroesi, and the Paemani. 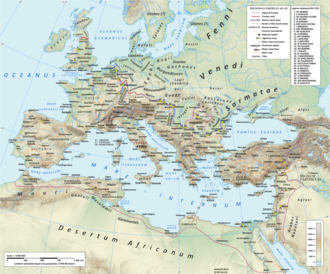 At that time, in 57 BCE, they were joining an alliance of Belgic tribes against Caesar. 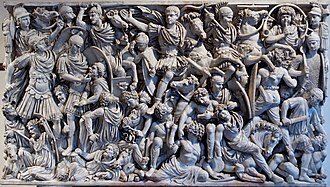 The alliance met with defeat at the Battle of the Sabis, but some, including many of the Germani, most notably the Eburones, renewed fighting in 54 BCE. 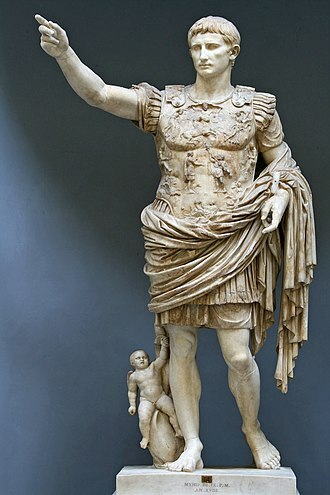 In 4.6 Caesar reports that the Condrusi were under the protection of the Treveri along with the Eburones. How this circumstance came about is not known, but their territories were thereby not invaded by the Usipetes and Tencteri who had lost their own lands to Suebi and then crossed the Rhine into the lands of the Menapii. In 6.32 the Condrusi are again mentioned as Germani "on this side of the Rhine" (citra Rhenum), this time along with the Segni (or Segui), as a German tribe claiming not to be involved in the rebellion. Both tribes were reported to live between the Eburones and the Treviri. After their defeat or capitulation, the Germani cisrhenani became part of the civitas Tungrorum in Roman province of Gallia Belgica. But this civitas was eventually split out to become part of Germania Inferior. An inscription in Scotland shows that soldiers from the pagus Condrustis served within the second cohort of the Tungrian civitas, and worshipped a goddess named Viradecthis. 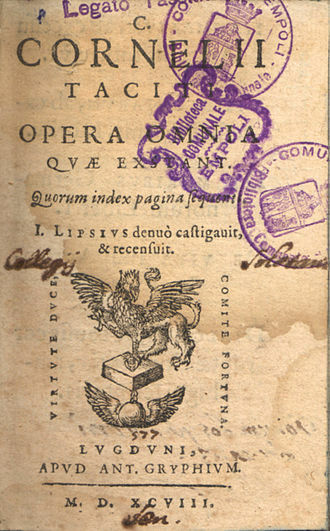 The name of the pagus Condrustis survived not only into Roman times but into the Carolingian era also, being mentioned as a county in the early Middle Ages. In this way, the name, like many medieval county names, has managed to survive down to the present day, at least as a geographical term. 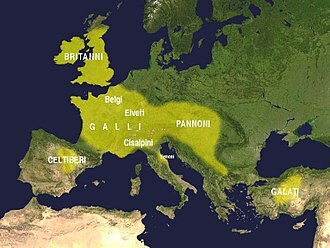 The Menapii were a Belgic tribe of northern Gaul in pre-Roman and Roman times. In geographical terms this corresponds roughly to the modern coast of Flanders. It extended into neighbouring France and the deltas of the southern Netherlands. Their civitas, or administrative capital, under the Roman empire was Cassel, both of these are near Thérouanne, which was the civitas of the neighbouring Morini tribe, and indeed in the Middle Ages Cassel became part of the Diocese of Thérouanne. Cassel was therefore in the extreme of the Menapii lands. A pattern of placing Roman tribal capitals in the south is found in the neighbouring Belgian tribal states, of the Nervii. The positions of such Roman tribal capitals frequently didnt correspond to the centre of a territory in pre-Roman political geography. To the north and east of the Menapii lay the Rhine–Meuse–Scheldt delta, in the time of Caesar, the Menapii had settlements throughout this region and over the Rhine into Germany. During Roman times these islands were under the province of Germania Inferior. Of these last three, the Marsaci appear to be mentioned in place by Pliny as having a presence on the coast south of the delta, neighbouring the Menapii. 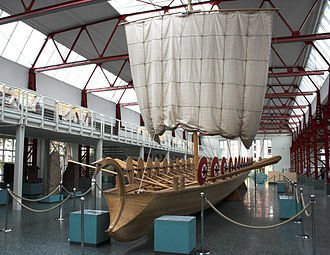 The Frisiavones are mentioned within the listing for Belgian Gaul, in one inscription, from Bulla Regia, the Tungri and Frisiavones are grouped together, apparently confirming that the Frisiavones lived inland. It is suggested that the Marsaci and the Sturii could be pagi belonging to the civitas of either the Frisiavones or the Menapii. 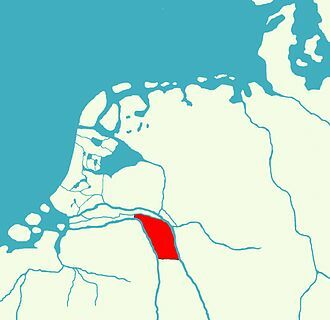 South of the delta, east of the river Scheldt from the Menapii and it is known that the Toxandri were associated with the civitates of both the Nervii and the Tungri, so they presumably had a presence in both. 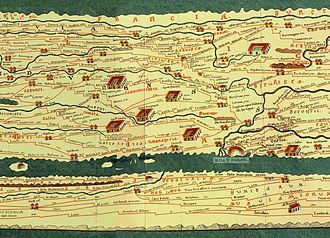 Apparently following Caesar he said that they dwell amongst marshes and forests, not lofty and they are referred to in Ptolemys 2nd century Geographia, situated above the Nervii, and near the Meuse river. In any case as mentioned above they bordered in Roman times upon the Toxandrians, south of the Menapii were the Atrebates in Artois, and south-west along the coast were the Morini. 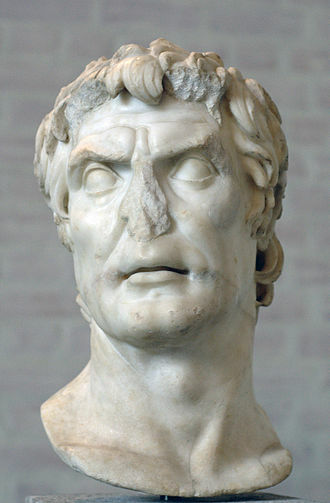 The Caeroesi were a tribe living in Belgic Gaul when Julius Caesars Roman forces entered the area in 57 BCE. 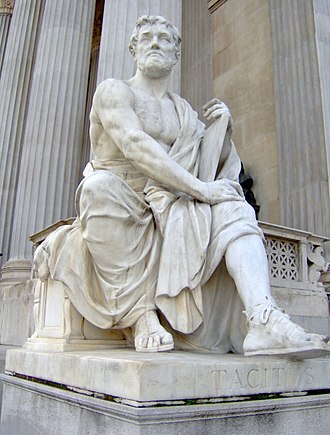 They are known from his account of the Gallic War and they are generally equated with the Cæracates mentioned briefly by Tacitus in his Histories. They were one of a group of tribes listed by his local informants as the Germani, along with the Eburones, Condrusi and Segni. These tribes are referred to as the Germani Cisrhenani, to them from Germani living on the east of the Rhine, outside of the Gaulish. He said that the descendants of the original Germani in his time were the Tungri, the general area of the Belgian Germani was between the Scheldt and Rhine rivers, and north of Luxemburg and the Moselle, which is where the Treverii lived. In modern terms this area includes eastern Belgium, the parts of the Netherlands, and a part of Germany on the west of the Rhine. The Caeroesi appear to have lived in the south of this range, in the Eifel region, in the area which because the Roman pagus of Carucum, this became the Frankish pagus called Caroascus. Reconstruction of a Menapian dwelling at Destelbergen. Boundary marker of the Pagus Carucum.